This is why I’m the long-winded friendly neighborhood anime/manga/cartooning blogger behind the keyboard and the Anonymous Director’s the socialite in front of it. Here, have a shot of the gallery space from last year’s exhibit. This year’s exhibit, bearing the theme “This is Fighting Spirit!“ — inspired by Shonen Jump and shonen manga artwork — is rapidly approaching. Art submissions are being accepted from 10 a.m. to 2 p.m. Sunday at the Honolulu Museum of Art School (1111 Victoria St.), room 200. Comic Jam Hawaii will also be hosting a jam around that time, where attendees can draw art for the exhibit or do their own thing. The exhibit itself, being staged in the art school’s second-floor gallery, launches with an opening reception and potluck from 2-4 p.m. Sunday, June 28, and will be on display through July 12. Meanwhile, over at the Honolulu Museum of Art’s Spalding House — once known as the Contemporary Museum for those of you who retain old-school place names like me (see also: “Daiei/Holiday Mart” for Don Quijote, “GEM store” for the Sports Authority on Ward Avenue, “Phase 1/Phase 2” for Uptown/Downtown Pearlridge Center), there’s a rather novel exhibit opening in that space starting today and running through June 28. “Contempo #ArtShop“ — yes, with the hashtag; it’s what’s trending, after all — features a number of pieces by local and international artists. The twist? If you like what you see, you can just buy it, with prices ranging from $30 to $45,000. Here’s the catalog. I’d imagine my readers could probably afford the artwork on the lower end of that scale, but if you can afford the upper end, please contact me. I want to be your friend. The exhibit has already garnered a fair amount of press for Saturday’s pop-up event featuring artists connected to Giant Robot magazine, but what’s relevant to our interests here is that several friends of the blog — Brady Evans, Tara Tamayori (that’s her at right), Audra Furuichi, Rose Dela Cruz and Jaymee Masui — all have pieces available for sale in this exhibit. In addition, Tara, Audra, Brady and Jaymee will be joining artist Iolani Slate for a special “Manga Market” event from 1 to 3 p.m. Wednesday, with a mini Artist Alley-esque setup in the entrance lanai — prints, original artwork and other merchandise will be available for sale — live art demonstrations and a make-and-take art table. If you can’t make it on Wednesday, the museum is open from 10 a.m. to 4 p.m. Tuesday through Saturday, 11 a.m. to 4 p.m. Sunday and noon to 4 p.m. June 28. It’s a pretty busy summer for Brady, really, as his work is among pieces featured in “Emergence 2015,” an exhibit at Pauahi Tower Artspace (in the second-level lobby of Bishop Square’s Pauahi Tower, 101 Bishop St.; here’s what the building looks like from Tamarind Park). 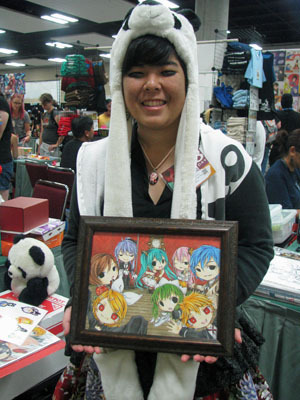 A number of his digital paintings will be on display for the first time outside of Kawaii Kon, as well as a new drawing he did, “Ghost Plants.” That exhibit will be on display through July 17; gallery hours are Monday through Friday from 8 a.m. to 6 p.m. and Saturday from 8 a.m. to 2 p.m. Finally, I’d be remiss if I didn’t mention a talk by cartoonist Jon J. Murakami — Gordon Rider/Edamame Ninjas creator, Star-Advertiser “Calabash” artist, you know the drill — and Michael Cannon of Comic Jam Hawaii at Kapolei Library at 2 p.m. Saturday, June 27. 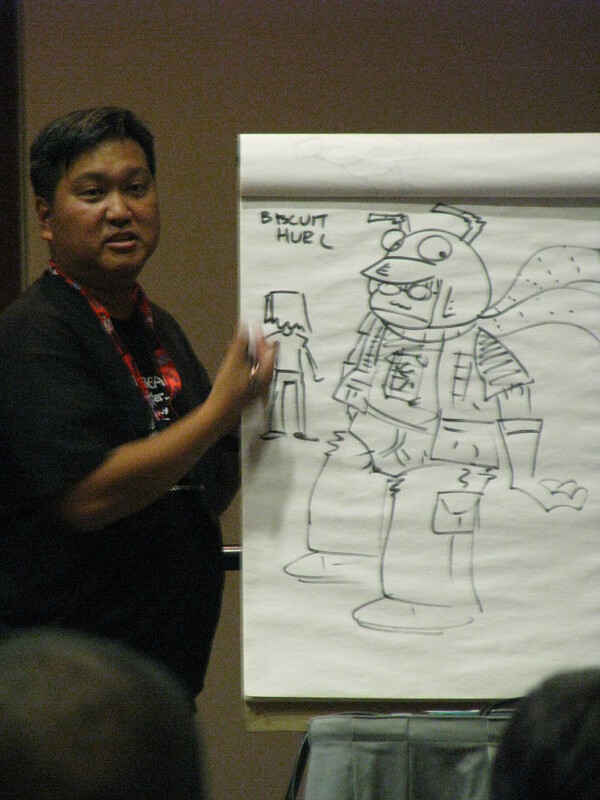 Jon and Mike will go over the process of creating a mini-comic — character design basics, layout and story development — and participants will be given their own materials to create their own comic right there, right then. The library is at 1020 Manawai St.; call 693-7050 if you need any assistance. Naturally, otaku community newsmakers broke a lot of juicy news while I was sick. So now I have quite a few announcements to catch up on — movie screenings! Special events! New convention guests! — and I’ll be starting in on it with this series of posts, “The Summer of Stuff.” Because let’s face it: If you can’t find anything that you’re interested in doing in the next few months from everything I’ve been told about, you’re doing the summer wrong. Take this summer’s lineup of movie screenings for Japanese cultural aficionados, for instance. A lot of it is being generated by GKids, working overtime with a weeks-long presentation of animated films from around the world (that is, if your definition of “around the world” is 75 percent Japan, 25 percent France/Italy) and the wide release of When Marnie Was There. There’s also a pair of free screenings at Aiea Library in coming weeks.